Last wash day of 2014 and I was so excited! Why was I excited? I was able to use my heating cap for the first time in weeks! Being in transition with my housing situation it just hasn't been feasible to use my Hot Head Heating Cap and I've missed it. My hair has missed it. In addition to that I also used a few new products. I took a trip to Sally's to buy some SheaMoisture shampoo and left with several goodies. I used two of the products I purchased during this wash day. They are the SheaMoisture Jamaican Black Castor Oil Shampoo and Silk Elements Olive Glossing Polish. I also used another product I purchased from ebay using a gift card I won from Influenster - Jamaican Black Castor Oil (JBCO). I used this in place of the Apple Cider Vinegar as I wanted to see if JBCO is a better solve for my scalp flaking and itching. I started this wash day with a pre-poo by massaging my scalp with the JBCO and then applying Eden BodyWorks Jojoba Monoi Deep Conditioner to my strands. Then I did something different, I sealed my hair tips with the JBCO. Since my ends seem to be lacking moisture I thought I would seal in the DC and give them an extra moisture punch. 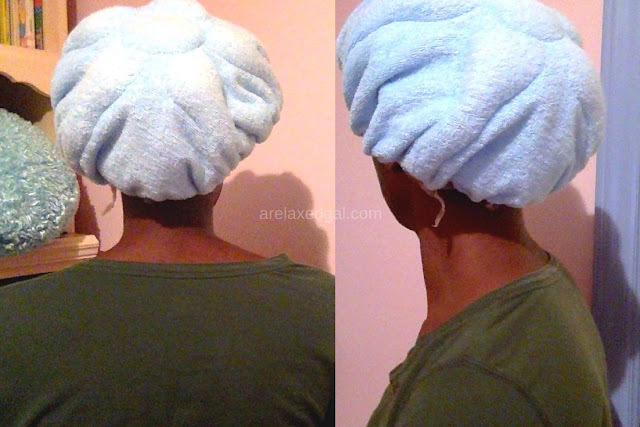 After applying my pre-poo products, I deep conditioned for 30 minutes using my Hot Head Heating Cap. My hair felt so good after rinsing. Next I clarified using SheaMoisture Jamaican Black Castor Oil Shampoo. I decided to shampoo twice since I hadn't clarified in several weeks and wanted to make sure I got rid of product build up. The first shampoo was focused on my scalp. The second shampoo was also focused on my scalp, but I also made sure the lather was pushed down to my ends. This was my first time using the shampoo and I was a bit wary after reading mixed reviews on it. This time as least, my hair loved it. 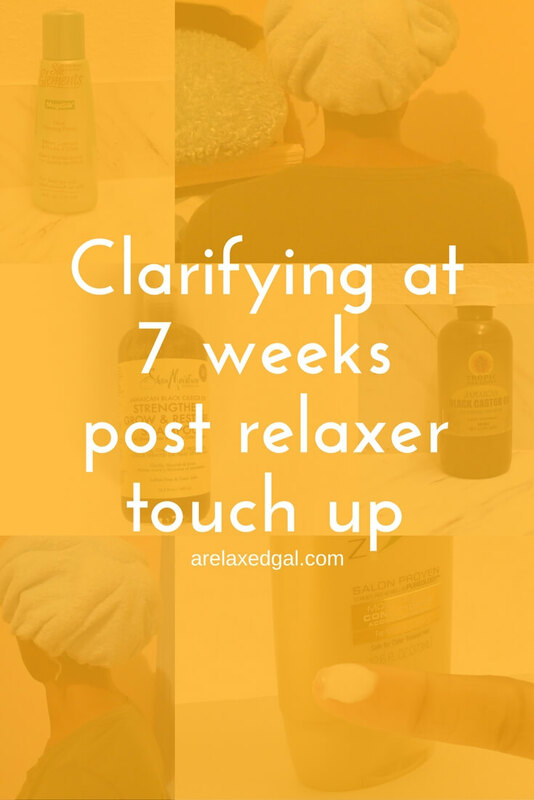 My hair felt soft and clean after rinsing, but not stripped which was a complaint I saw in some reviews I read. For my rinse-out conditioner I used Suave Natural Infusions Moisturizing Conditioner which I left on for about 5-10 minutes. After rinsing I wrapped my hair in a t-shirt and dried that way for two hours while my family and I watched A Madea Christmas (very funny by the way). Before cross-wrapping for bed I used my Eden BodyWorks Coconut Shea Leave-In Conditioner and followed up with one of my new products Silk Elements Olive Glossing Polish to seal. In the morning my hair was still damp and I finished drying with my sister's blow dryer using low heat/high speed. My ends did not feel good, but the rest of my hair did. I'm not sure what's going on with my ends other than they aren't getting enough moisture. I'll need to think on this and maybe try some bagging and mid-week deep conditioning or co-washing. 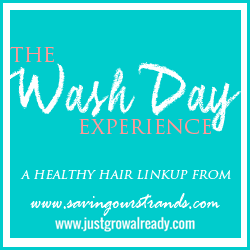 What did you do for your last wash day of 2014? I loved A Madea Christmas. I laughed so hard that my tummy hurt for hours! I've never baggied only my ends--but I have baggied my entire head and I loved it. Fingers crossed that it works for you chica! Thanks (as usual) for sharing your #washdayexperience!